Tonight's open house gives you the opportunity to make a positive first impression with many of your students' parents. That first impression can come in handy later should difficulties of some kind arise. Parents will follow their student's schedule. 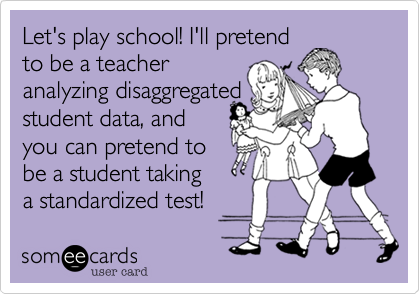 You will have the opportunity to provide them with a basic overview of your class and what their student will be doing and learning for it. Teachers: Please contact Academic Support (Jane/Sandra) If….. The following revised local policies were adopted by our school trustees on August 16, 2016 and are now available online. Please remember to be out in the halls or in your doorway between classes. Don't forget to show announcements during 2nd period. If you have a 2-hour class 1st-2nd periods, the announcements are now available before school so that you can show them at the beginning of your class. Thank you, Marie! Please pay close attention to lunch dismissal times. 11:46 is when 3rd ends, and A lunch begins. 12:30 students in A lunch should head to 4th period. 12:36 is the TARDY bell for A lunchers to be in 4th period. 12:42 is the dismissal to B lunch. 1:25 students in B lunch should head to 5th period. 1:33 is the TARDY bell for all students to be in 5th period. Please go over this schedule with your students. When you have a sub, please be sure he/she follows it, as well. That brief six-minute window between lunches is the brief time our custodial staff has to finish cleaning in the cafe. September 19 --Open House, 6:30-8:30 p.m. Parents will begin in the theatre with a brief welcome. Then beginning with 0 hour at 6:45, they will walk the campus to follow their student's schedule for 8-minute presentations, with 7th period finishing at 8:24. September 20, all day -- Picture retakes for staff and students in cafe. Get your picture made for the yearbook! September 23 -- Last day to turn in United Way Campaign sheet and earn jeans bucks! Winning team gets Sonic drinks. September 27-Deadline for completing initial goal setting meeting with your department's administrator. September 30- All grades must be updated by 5 p.m. for an official UIL 6-week grade check. Progress reports will be handed out on Oct. 4. October 1 -- Choir-sponsored Craft Fair, PSHS Cafe. October 4 -- School Board Meeting, Central Office, 6:30 p.m.
October 3-7 -- Begin identifying students for parent conferences. Pawsing to brag cards also available. See Jeri Wolfe. October 28 -- Staff cookout in conjunction with the Plano v. Plano West Football game. Starts at 5:30 on the visitor's side. Bring your family! More details to follow. Retakes for pictures are September 20 all day in the cafeteria. This includes all staff and students. 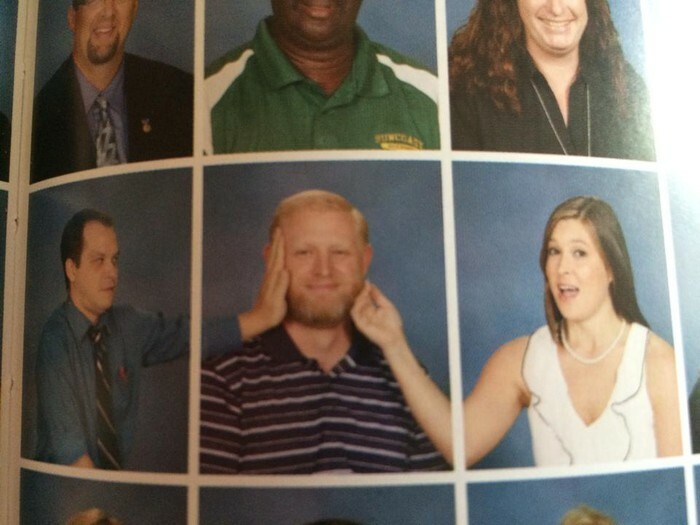 Please get your picture made so that you can be immortalized in the yearbook! 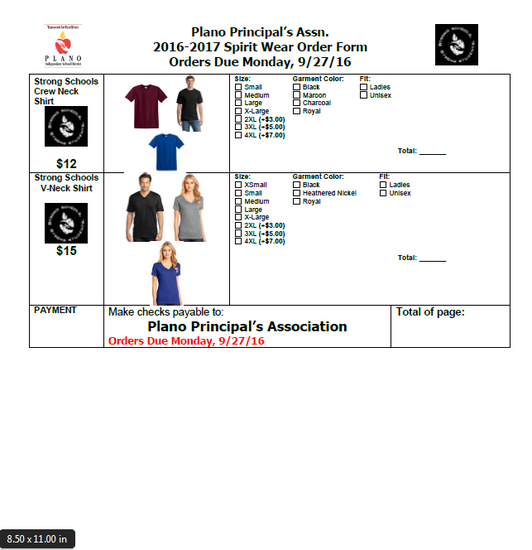 This year PPA is offering a nice selection of Plano ISD Spirit Wear for staff to wear and show district spirit. When possible we have included selections that honor the senior high school feeder colors and a more neutral color for those who don't want to choose between PESH, PSHS, or PWSH. Four $1,000 scholarships for seniors pursuing education as a major - we plan to give one scholarship each to a worthy senior from PESH, PSHS, PWSH, and for the first time the Academy High School. Three $1,000 scholarships for paraprofessionals pursuing their education degree. Three $1,000 scholarships for aspiring administrators - current Plano ISD staff pursuing their Master's Degree in Educational Leadership. 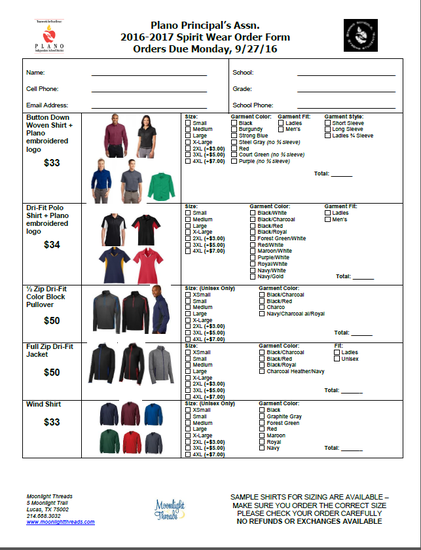 Our spirit wear is priced between $12.00 and $50.00. A portion of each item sold goes to PPA to use for scholarships and donations. Our Strong Schools Strong Students t-shirt is available in black, maroon, royal blue, and charcoal. 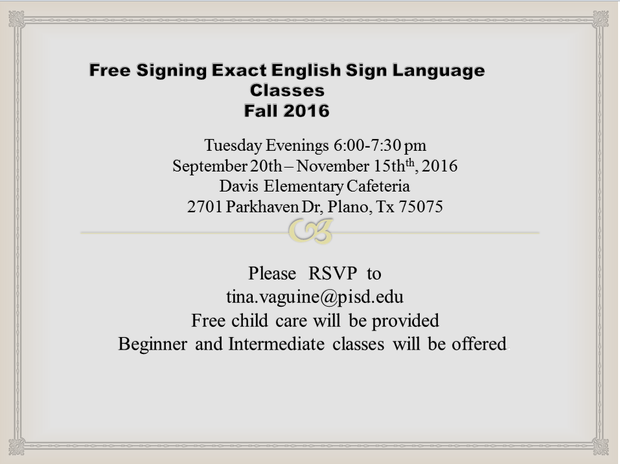 The Plano Regional Day School Program for the Deaf (Proudly housed at Pearson ECS, Davis Elem, Haggard MS, Vines HS, and PSHS) will once again be offering FREE sign language classes to the Plano ISD community at Davis Elementary on Tuesday evenings. Please share this flyer with your teachers and any parents in your community that you think would be interested! Please ask anyone interested to RSVP to tina.vaguine@pisd.edu . Free child care will be provided, and Beginner and Intermediate classes will be offered. Thanks! JV & VARSITY LADY CATS vs. Wylie, Tuesday, Sep. 20th at PSHS. JV plays at 6pm. Varsity plays at 7pm . JV LADY CATS at Allen JV Tournament, Thursday, Sep. 22nd at Allen. Time TBA. JV & VARSITY LADY CATS vs. Denton Guyer, Friday, Sep. 23rd at PSHS. Varsity plays at 6pm. JV plays at 7pm. JV LADY CATS at Allen JV Tournament, Saturday, Sep. 24th at Allen. Time TBA. JV CATS vs. Denton Guyer, Thursday, Sept. 22nd at Denton Guyer, Game time is7:00pm. VARSITY CATS vs. Denton Guyer, Friday, Sept. 23rd at Clark Stadium, Game time is7:30pm. WILDCATS vs. McKinney High School Tuesday, September 20th at McKinney Boyd Time is 4:15pm. Ms. Pancake has placed United Way donation sheets in all of your mailboxes. Below are the teams so you will know which team you are on when she is giving updates on who is closest to winning. Winners will win Sonic drinks. Don’t be the holdout that keeps your team from winning. Your team gets credit just for you filling out the form and turning it in to Ms. Pancake. Deadline for your donation sheets is Friday, September 23rd. You can put it in my mailbox or the ISS basket. Please remember – YOU MUST USE BLACK PEN!!! There are several ways to pay. You can pay by credit card, check or payroll deduction. If you decide to go through payroll deduction, please remember to put your employee id number on the sheet. 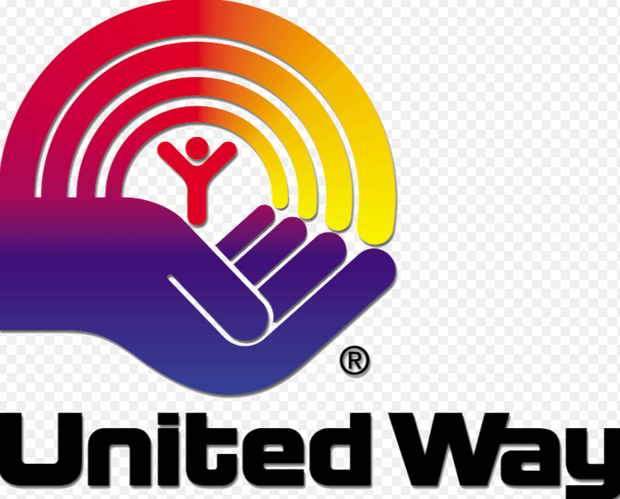 You can choose whichever United Way company that you want your donation to go to. Even if you don’t donate, please fill out the form and sign (in black ink). We want 100% PARTICIPATION. Our goal is $4680.00. We made our goal last year so let’s do it again this year. That works out to roughly $25 per staff member if you choose to contribute, and remember, you can opt for payroll deduction!